Music Time of Milford is excited to collaborate with American House to bring Music Together® GENERATIONS classes to our community. 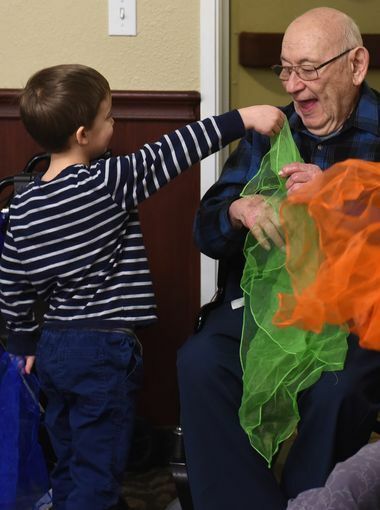 These classes are an intergenerational music experience for ALL ages. You will enjoy singing songs you know, sharing musical memories, and learning some new tunes, too! 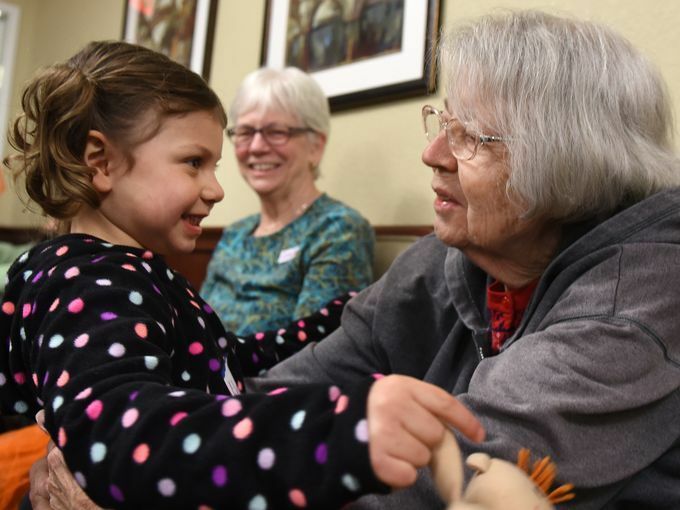 Our Music Time families registered in a Generations class will have class at American House each week of our session. 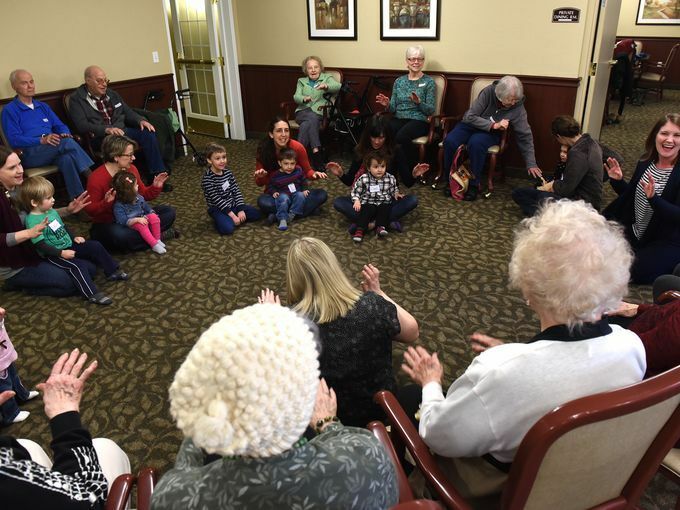 These classes are similar to our regular Mixed-age classes at the SHAC (CDs and songbooks will go home, we will play instruments, dance, sing...), but we get to enjoy an outer circle of "Grandfriends" that will watch and participate with us! Come experience the unique power and joy of making music across generations. It is a wonderful experience! CHECK OUT OUR PICTURES AND ARTICLE IN THE MILFORD TIMES!